Making My Kid's Lunchbox Untradable, Wholesome and Yummy! Making My Kid’s Lunchbox Untradable, Wholesome and Yummy! 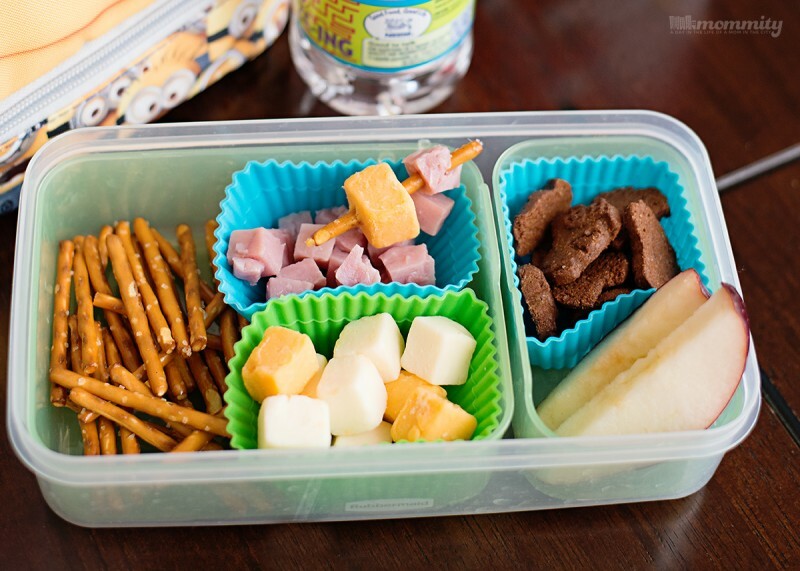 With a kid who has a nut allergy, we are always looking for fun and yummy ways to make school lunches. We avoid buying lunch for safety reasons and purchasing pre-packaged lunchbox food just gets expensive. 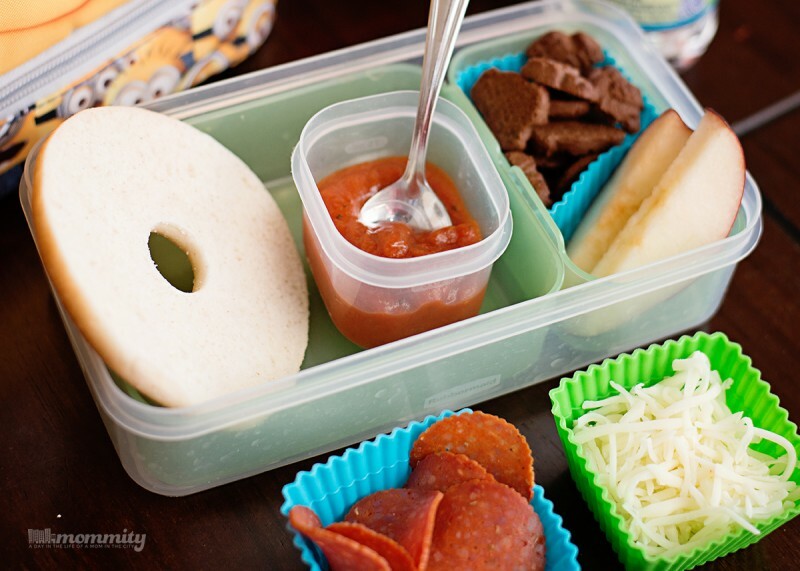 This summer, we spent many lunch times coming up with new lunch box options and the biggest request was to find a way to mimic many of those convenient pre-packaged lunches. So I went for it.. We are theming some of his favorite lunch ideas and making them wholesome, yummy and nut-free! Children imagine, create and wonder. As a mom, it’s my job to help fuel their little bodies and minds to keep them dreaming for as long as possible. But, imagine when they are fueled by wholesome foods. Foods they like to eat! It’s so easy to throw together a bunch of pre-packaged foods for lunch, but this year, it’s my goal to help nurture them with yummy, delicious and wholesome foods that will help them be their best at school. Our first lunchbox creation is so fun! The kids love to see how many pieces of food they can stick onto their kabob. We chose some pretzel twists for the kabob stick, cubed cheese and some diced ham pieces to making a tasty combo. Then, instead of adding things like cookies, we went with a few slices of apples and our favorite Horizon snacks as a treat. This one is really a favorite! I’m really glad that my kids enjoy cold pizza like me. It makes a really tasty lunch and the packaging is to easy to do! We grabbed some of those bagel thins for the crust, they are really thin and perfect for this lunch. Then add in some of their favorite toppings, pepperoni, cheese and (for my son) olives! Slab a little sauce and toppings, then you have a great lunch full of protein to keep bellies full. Then of course, the kids always think they need a treat so we added the apple slices and Horizon snacks on the side. 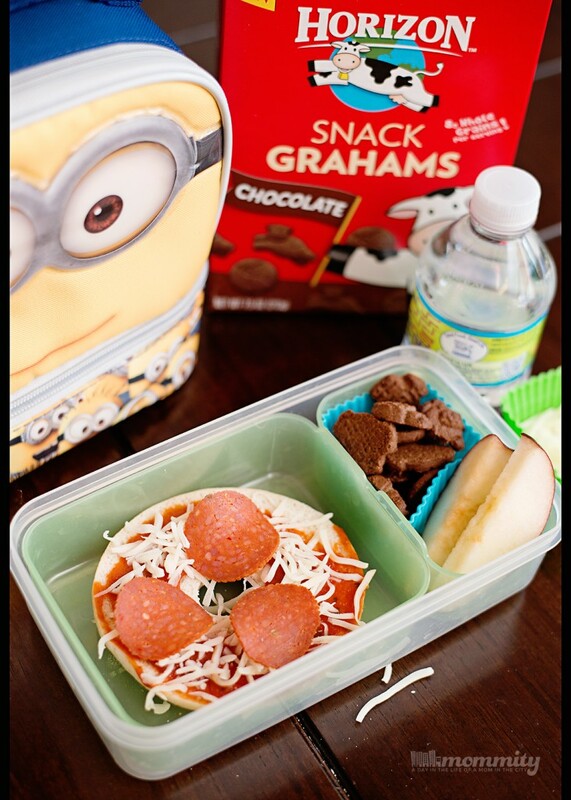 With these lunch options, my kids wouldn’t dare trade their lunches. It’s so fresh, yummy and they can put their food together themselves! I don’t know if your kids are like mine, but if they make it themselves then the food is more likely to be eaten. If you are looking for wholesome snacking options like these, visit the Horizon snacks website for more ideas! 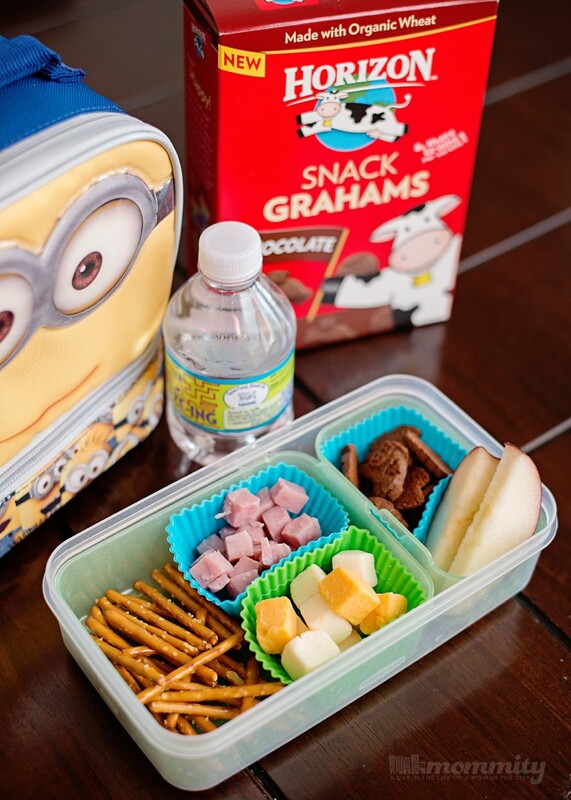 There is a wide range of products that will work perfect in all of your back-to-school lunchbox creations. Be sure to visit Horizon on Facebook, Twitter, Pinterest and Instagram too! You can never have too many lunch and snacking ideas.